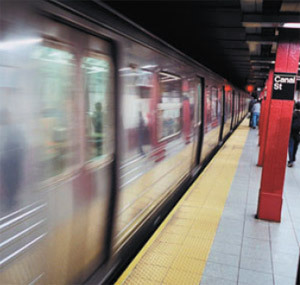 The New York City Transit (NYCT), a public organization that provides mass transportation services via rail and bus to the five boroughs of New York City, is a system that runs 24 hours-a-day, seven days a week. The challenge NYCT faced was how to secure and track keys to restricted areas and revenue collecting equipment at locations offsite from the central command center. The previous process of keeping keys in a bag in the safe, and using a paper log to sign keys in and out was cumbersome and ineffective. Additionally, requiring a supervisor to sign out keys and gain access to the safe was not feasible in many remote locations where equipment is stored. According to Hank D’Amato, NYCT’s Senior Director of Operations and Administration, Division of Revenue Control, key loss and accountability were problems NYCT faced on a regular basis. As more equipment was moved to remote storage facilities with no supervisor onsite, it became clear that new key management processes were necessary. NYCT’s overall technology objective was effective and secure key management to reduce key theft and loss as part of its overall effort to provide safe, reliable and effi cient transportation to its customers. After having seen Morse Watchmans’ KeyWatcher system in place in another division of the NYCT system, D’Amato looked to the company to help design a new key management system to meet this objective. Working closely with Hank D’Amato, and the NYCT’s Revenue Control Division team, Morse Watchmans developed a customized key access solution to meet the NYCT’s goals. Morse Watchmans implemented its KeyWatcher system in NYCT’s Revenue Control Division. This state-of-the-art key management system consists of wall-mounted key storage cabinets that eliminate outdated lock boxes, unreliable manual logs, and messy key identification tags. The KeyWatcher intelligent key management system helps prevent lost or stolen keys by only releasing assigned key to users with the proper authorization code and recording the access history of each key, including user, date, and time of checkout/return. 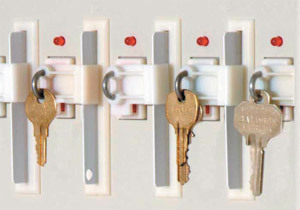 With KeyWatcher, when a key is missing or overdue, an alarm alerts security personnel of the situation. KeyWatcher, was installed in combination with Morse Watchmans’ Key-Pro™ Performance Software, to provide NYCT with extensive key management reporting options, centralized programming, advanced network capabilities, improved system communications, detailed reporting and real-time transaction polling. 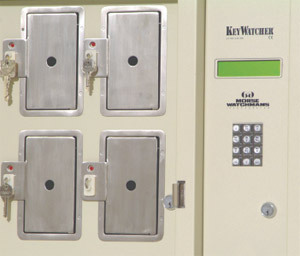 The Morse Watchmans KeyWatcher system eliminated NYCT’s need for a supervisor with access to the safe to issue keys. It also replaced NYCT’s outdated, and often not updated, manual paper logs. The KeyWatcher system provides NYCT with a precise log as to the times, locations and holders of all keys at all times. NYCT’s Revenue Control Division is in the process of upgrading its KeyWatcher key management system, adding fi ve more units to it’s existing cabinets to manage over 500 keys in central and remote locations. Under the authority and administration of D’Amato and a few supervisors, the KeyWatcher system can be easily customized to meet all of the NYCT’s central and remote location needs. NYCT’s Revenue Control Division can set access constraints at an individual level, for each key, every hour of each day. If a security issue arises with an employee, access permission can be restricted immediately. Any unauthorized key access attempts or discrepancies such as late key returns or returns to the wrong location trigger an immediate alarm to the security department and show up on reports. At NYCT, key reports are run daily and all discrepancies are noted and resolved appropriately, virtually eliminating key accountability issues entirely. According to D’Amato, KeyWatcher system glitches have been few and far between. However, on the rare occasion NYCT has had to contact Morse Watchmans for support, the company has been extremely responsive. Despite NYCT’s 24 hour-a-day operations, Morse Watchmans has been able to resolve problems consistently on a timely basis. Since implementing the KeyWatcher system, NYCT has strict accountability for keys throughout its operation. KeyWatcher electronically manages the key inventories of the entire Revenue Control Division of the transit system around the clock. Successfully maintaining a record of who has each key and alerting management when keys are not returned on time has reduced the number of key replacements and eliminated the number of unauthorized access incidents. “KeyWatcher has taken the place of a supervisor in managing keys at remote locations and is an integral part of the way we do business,” said D’Amato. Additionally, education and understanding of how and why NYCT manages keys through the KeyWatcher system is now a part of the hiring and training process, ensuring that all employees understand the necessity and benefi ts of the KeyWatcher audit trail system. Learn more about key control solutions for cities and municipalities.